These Double Chocolate Bars on a Budget are packin’ some serious chocolate. All you chocolate lovers can grab one and be satisfied. They are rich, creamy, and full of goodness, including sweetened condensed milk. These double chocolate bars are a budget-friendly dessert that every chocolate lover will beg for. They are easy to make with sweetened condensed milk and are the perfect dessert for any occasion. 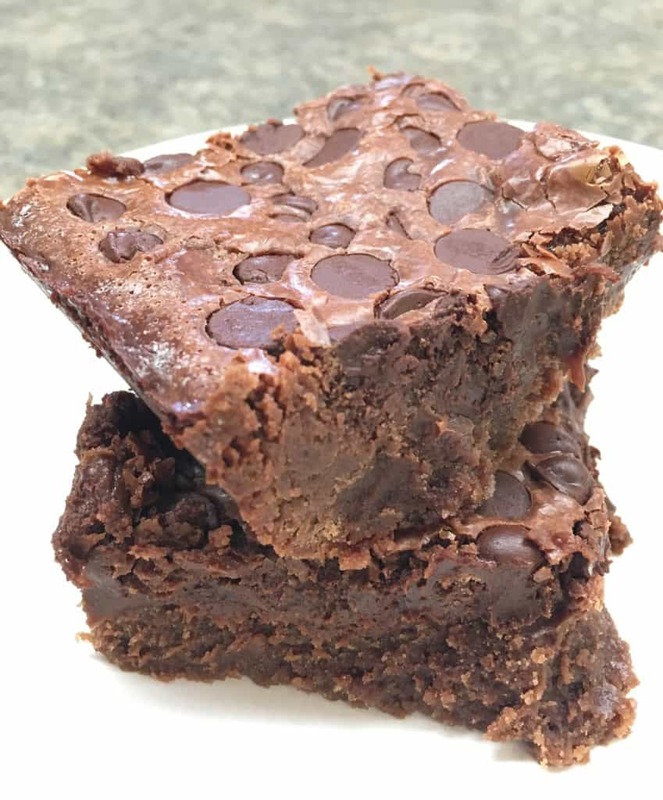 The kids were bugging me the other night to make some brownies, but I really didn’t want to run to the store to get a mix or spend the money, for that matter. (But, who’s kidding, I wanted a treat, too. I would have done whatever necessary). 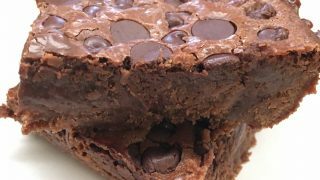 So, I decided we’d make some double chocolate bars on a budget with ingredients that we had at home. I think this might be one of the easiest desserts to make. And chances are, you have the ingredients in the house. I’ve started to keep certain items in the house for times like this. 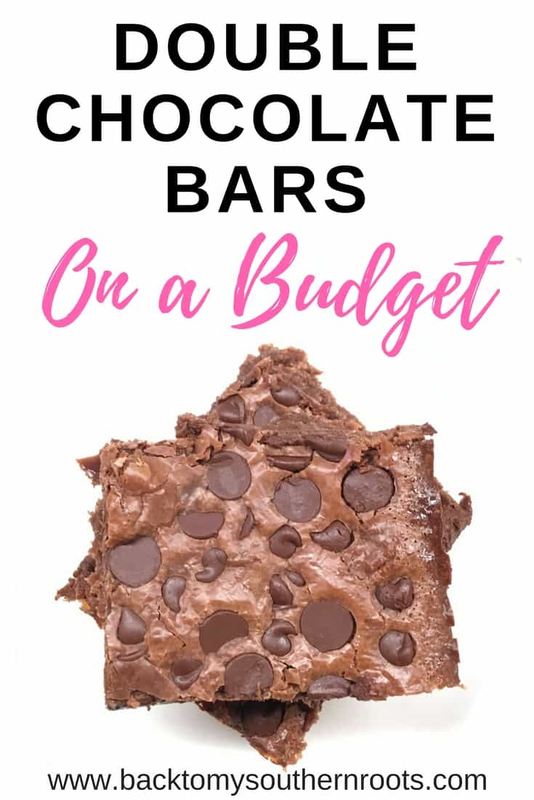 The double chocolate bar on a budget most likely costs around $3 for the entire recipe if you already have the flour, butter, vanilla, and cocoa. And, it puts the boxed mixes to shame. My younger son loves to help bake things around the house, and we usually have to keep each other from eating all of the yummy ingredients. But, this time we had to keep my older son away from the chocolate chips so we’d have enough. Can you ever have enough, though? I don’t think so. 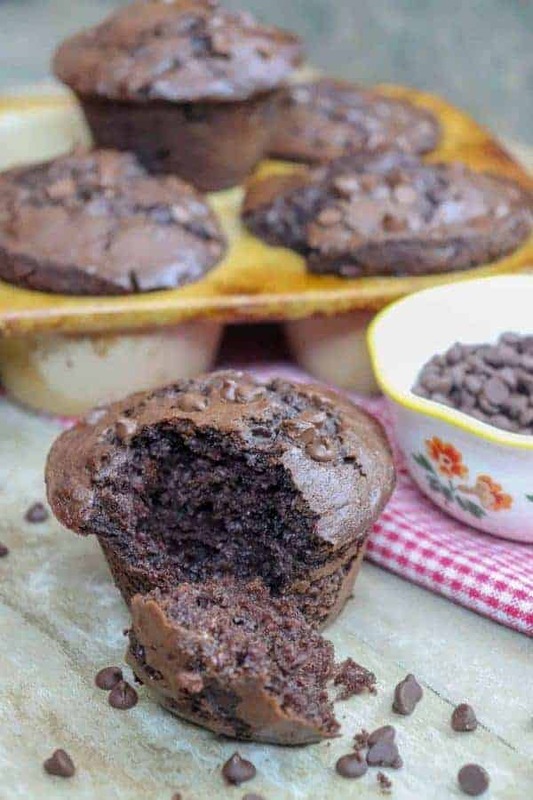 The full recipe and directions are at the bottom of the post. 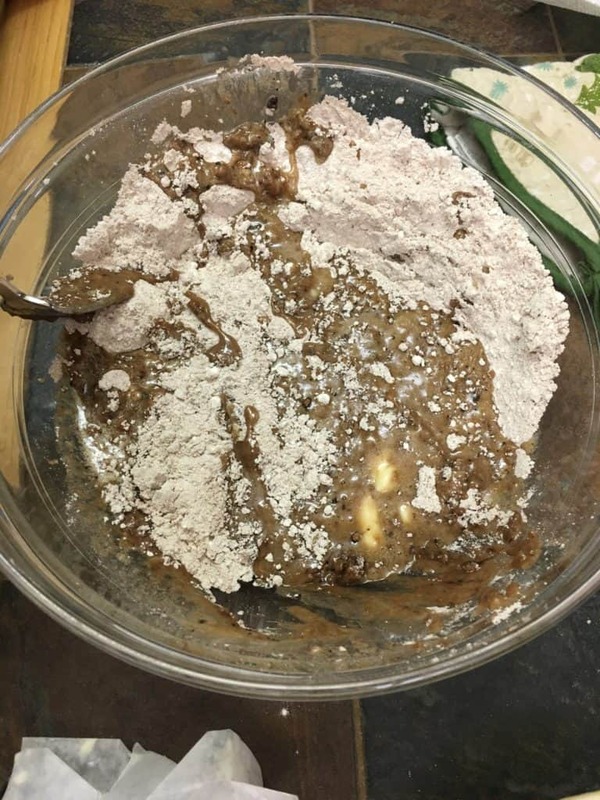 First, add flour, sugar, cocoa, and melted butter to a bowl and mix until it’s completely blended. I’ve actually messed this up a couple of times and left out the sugar. If you do that, start over. Trust me. It’s so much better with the sugar. 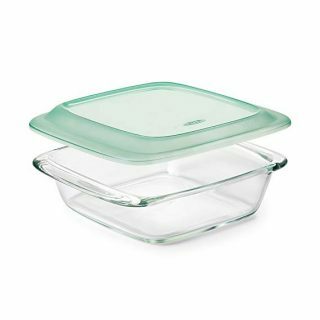 Next, press the mixture into a greased 9″ x 9″ baking dish. It might seem like there’s not enough, but it will rise a little as it cooks. Cook it for 15 minutes on 350-degrees. Start making the topping while the crust is cooking. I usually make it about five minutes before the timer goes off for the crust. Add a can of sweetened condensed milk to a saucepan. Just licking the lid on the sweetened condensed milk is heaven, so you can only imagine how amazing adding chocolate will taste. 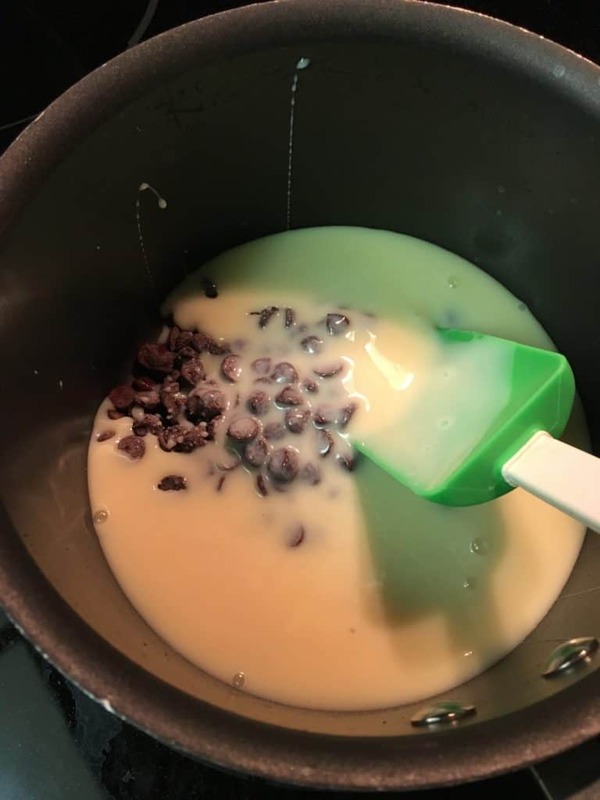 Add 1 cup of semi-sweet chocolate chips, as well as 1 teaspoon of vanilla, cook over medium heat, and stir until they are melted. If your crust is still cooking, just slide the saucepan off of the burner so it won’t burn, and stir it every couple of minutes until you’re ready to pour it onto the crust. Try, oh, try so hard not to eat it all while the crust cooks. You will be tempted, but I have faith you can resist. Trust me, it’s so worth the wait. 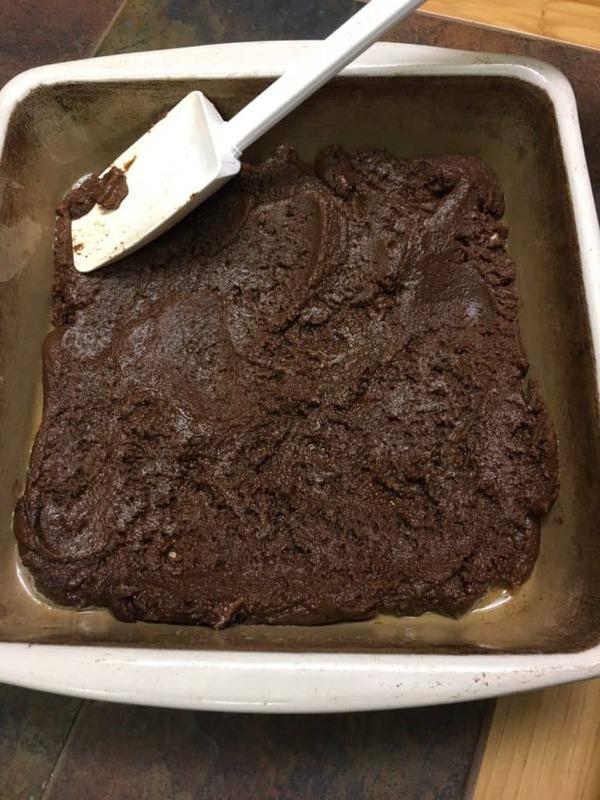 As soon as the crust is done, pull it out of the oven and pour the chocolate mixture over it. Don’t you want to lick the screen? It’s ok, I understand. Lastly, pour one more cup of chocolate chips on top. I grab a handful and sprinkle them on. 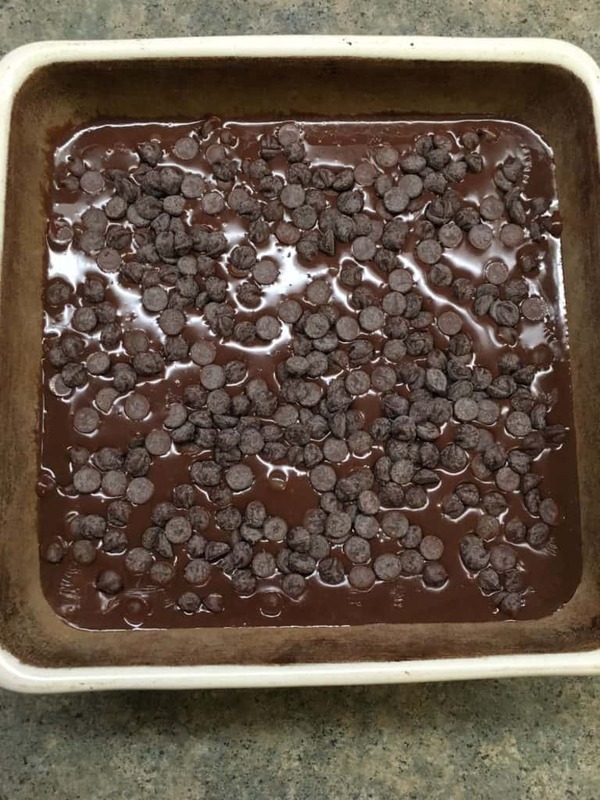 The first time I made this I thought it was a crazy step to add more chocolate chips on top because I assumed they would melt so why not pour them into the melted mixture. But, they don’t really melt, and they stay so pretty. You can also add walnuts or pecans to the top. If you decide to add walnuts or pecans, I would chop them up and add about 1/2 cup. Put it back in the oven and bake it for another 20 minutes. Oh, baby, these are the best chocolate bars. The top gets a tiny bit crusty, and the middle is perfectly gooey. Perfectly. You are going to love this dessert. It’s like chocolate decided to jump in your mouth, melt, and have a really great party. 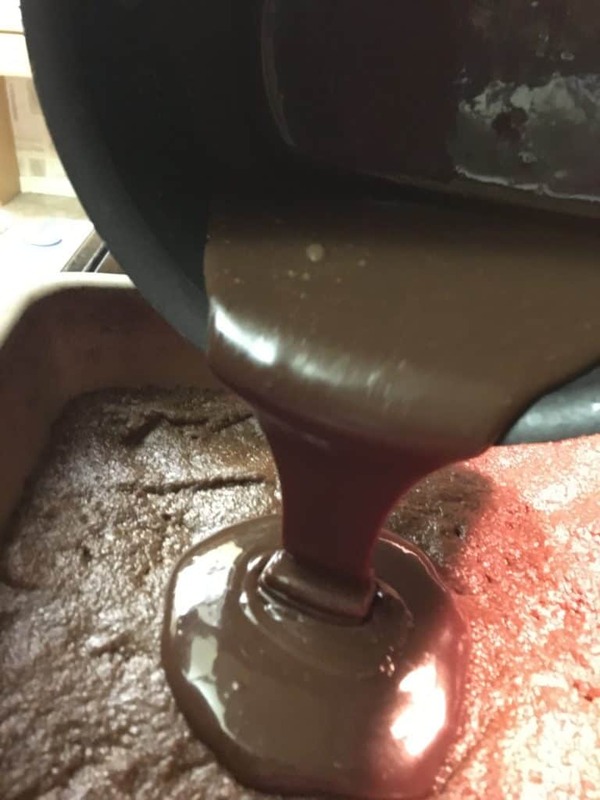 The hardest part of making double chocolate bars is waiting for them to cool off. Rest easy, if you want to get some soon after you take it out of the oven, that’s ok, it will just be much softer. 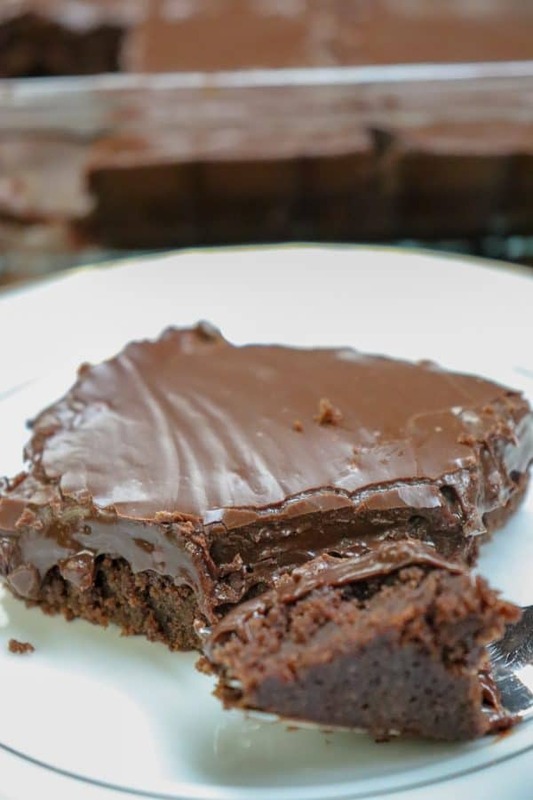 The double chocolate bars are not only budget friendly, but rich and delicious. These Double Chocolate Bars on a Budget are packin' some serious chocolate. All you chocolate lovers can grab one and be satisfied. They are rich, creamy, and full of goodness, including sweetened condensed milk. 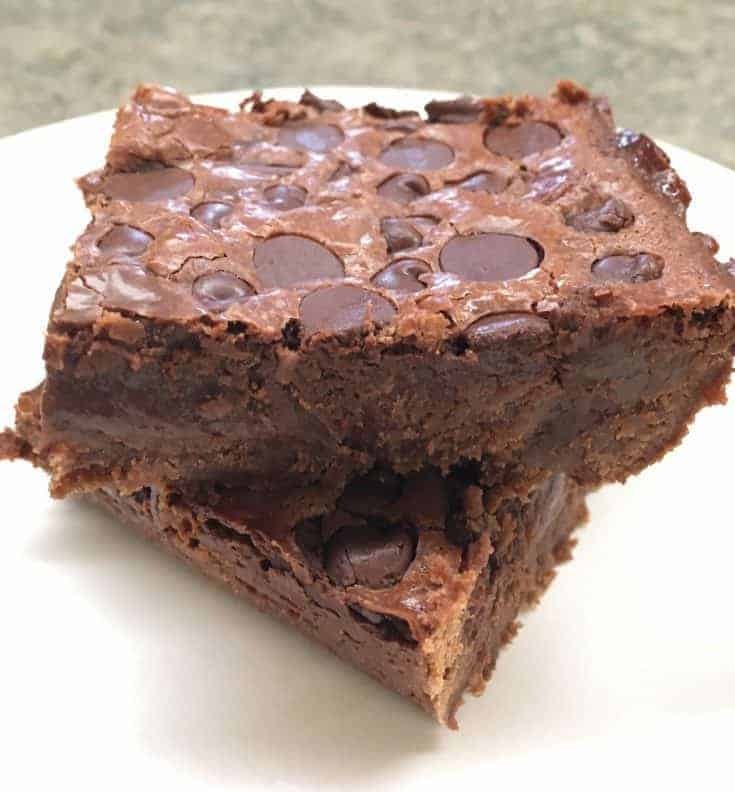 These double chocolate bars are a budget-friendly dessert that every chocolate lover will beg for. They are easy to make and are the perfect dessert for any occasion. 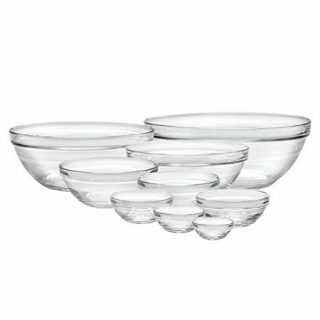 Melt butter in a medium sized bowl. Add flour, sugar, and cocoa. Mix well. Spray 9" x 9" pan with non-stick spray. Press crust mix into the pan. Combine sweetened condensed milk, vanilla, and chocolate chips. Sprinkle chocolate chips on top (and nuts if you're adding them). Bake for 25 minutes or until cake tester comes out clean. Ha ha! I totally agree, Kelly! I had a hard time not eating them all. They are so warm and gooey and yummy! These look Ridiculous (my word for over the top good stuff)! I am always looking for desserts like this. Thanks for sharing….pinned! Hi AnnMarie! Thanks, and they are ridiculously rich. 😉 Love that word for over the top! Have a great week and thanks for sharing. Awesome! Thanks so much, Marilyn! Can’t wait to visit. Have a good evening. Your Post is on The Top Ten at Full Plate Thursday this week! Thanks so much for sharing with us and have a great weekend! Hi Miz Helen! I saw it over there and was super excited. I love Full Plate Thursday. Thank you! !